The most frequent inherited diseases in the breed. Links after diseases are direct links to more information on the ASHGI site. 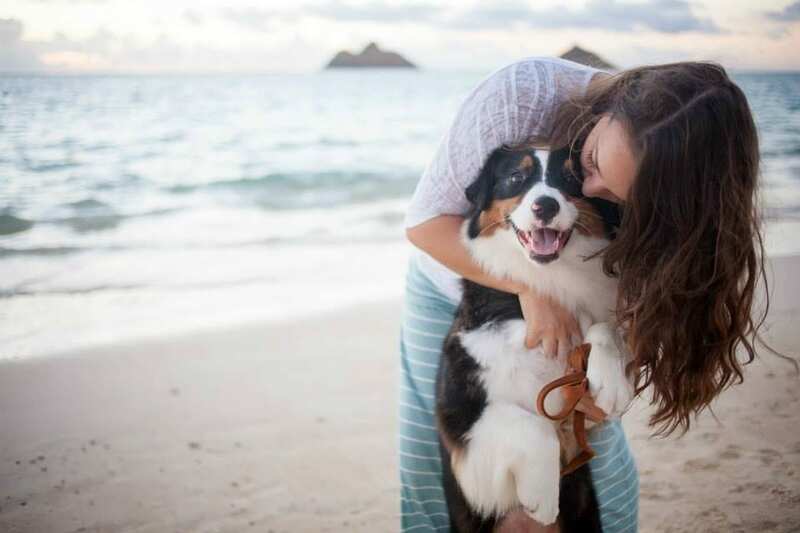 Thyroid disease, specifically autoimmune thyroiditis, is the most common autoimmune disease reported in Australian Shepherds and one of the most reported diseases of any kind. Fortunately, the disease is treatable and the required medication is inexpensive. Even so, breeders should take steps to avoid producing affected dogs. The disease is both over- and under-diagnosed. It is so common in dogs that those presenting with the most typical signs of the disease may receive that diagnosis by default. Weight gain, skin problems, and a tendency to seek heat are some of the more common signs. On the other hand, signs that are more frequently associated with other diseases may point away from a thyroid disease diagnosis when that is actually the underlying issue. Some abnormal thyroid test results can arise from other diseases or even normal states like a female’s estrus cycle. If a dog is exhibiting thyroid disease symptoms it should have a thorough veterinary exam and testing. Visit the ASHGI site for more information. most frequently initiate in the spleen, heart, and occasionally the skin. Because it begins in a blood vessel it spreads readily, often to the lungs or liver. Prognosis for dogs with HSA is a very poor, with most surviving only a few weeks or months after diagnosis. Sometimes the first indication that the dog is ill is a sudden catastrophic collapse. If any Aussie over 4 years that dies suddenly from no apparent cause may have died from HSA; if at all possible a necropsy should be done to verify whether or not HSA was the cause. The skin form, if caught early enough, may be cured by tumor removal. It is also the easiest type to treat with the longest survival time. Visit ASHGI For more information about Hemangiosarcoma including research. Lymphoma is a cancer of the white blood cells. It most frequently arises in the lymph nodes, spleen, or bone marrow. It can also start in the gastric system, skin, or thymus gland. The most common sign is an enlarged lymph node below the jaw or behind the stifle (knee.) Affected dogs often are lethargic, anorexic, lose weight, or have swelling of the legs or face. Occasionally they will drink and urinate frequently or have difficulty breathing, irritated patches on the skin or mouth, vomiting, or dark foul-smelling diarrhea. Prognosis varies and is somewhat dependent on the specific form of lymphoma the dog has. Some forms respond better to chemotherapy though most dogs will relapse after a period of remission. With additional chemotherapy a second remission is usually possible, though of shorter duration than the first. Most dogs will eventually die of the disease. Visit ASHGI For more information about Lymphoma including research. 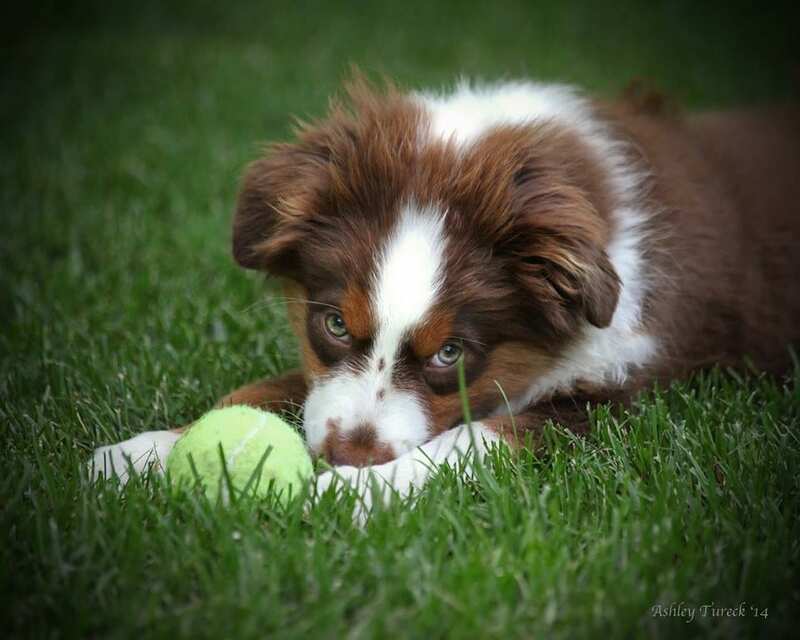 Cataracts are the most common eye disease in Australian Shepherds. They can occur for reasons other than heredity (other diseases, injury, or nutritional imbalance) but these other causes are not common and should not be assumed to be the reason. If in doubt, consult a veterinary ophthalmologist. Hereditary cataracts are bilateral, meaning they occur in both eyes, but they may not appear at the same time. If a cataract is noted on one eye, it is wise to recheck in six months to a year to see if one develops in the other. Hereditary cataracts progress starting as small opacities and advancing, sometimes to the point of clouding the entire lens. Dogs with these generalized cataracts are unable to distinguish anything but extremes of light and dark. Cataracts do not cause the dog any pain and usually progress slowly enough that the dog adjusts to its vision loss. 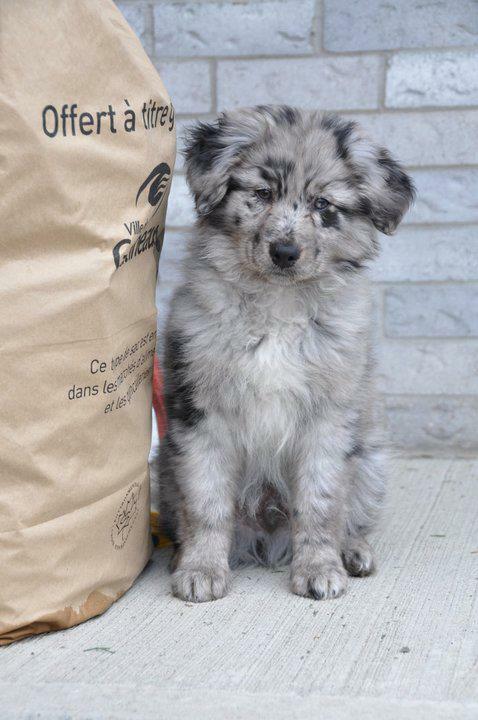 In Aussies cataracts almost never occur in young puppies. Affected dogs most commonly present signs as mature adults, though cataracts may start in early adulthood or not until old age. This wide range in onset has made the disease extremely difficult to predict or eliminate; affected dogs are often bred before the owner realizes they will develop the disease. 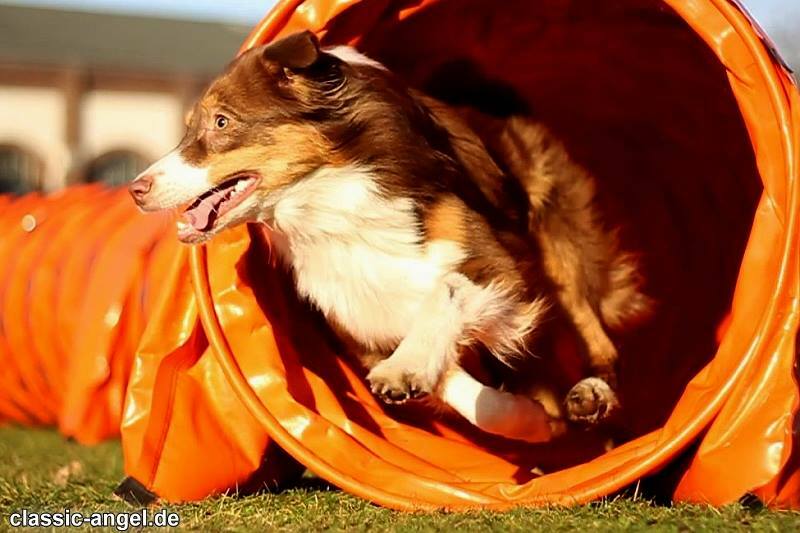 Elbow dysplasia (ED) may be the most unrecognized common health issue in Australian Shepherds. Affected dogs may only show lameness occasionally, something easy to dismiss as a minor injury in an active breed. A few affected dogs may not show signs at all. 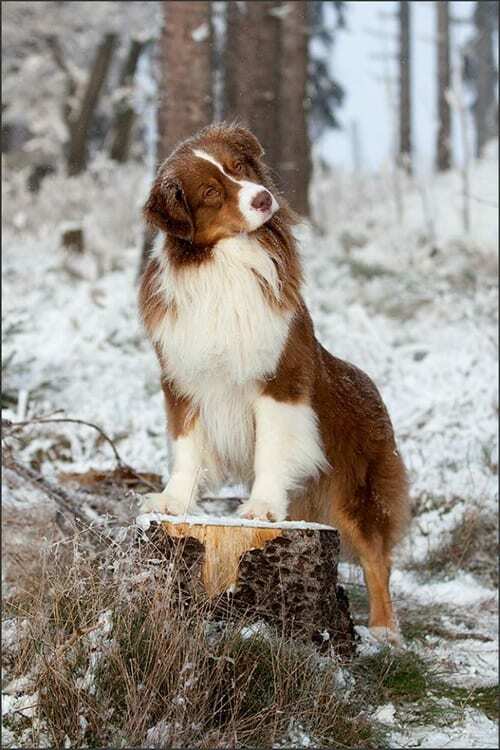 But testing results from Europe, where elbow exams are as standard as those for hips, makes it clear that this disease is much more frequent in Aussies than most breeders in North America are aware. In addition, having elbow dysplasia is a risk factor for also having hip dysplasia; the more serious the condition the higher the risk. The wise owner should consider it whenever he encounters an unexplained case of front-end lameness in one of his dogs. Breeders should make elbow screening part of their standard health screening practices. Epilepsy is a seizure disorder. Both epilepsy and individual seizures can be caused by a variety of things: Head injury, toxic exposure, infections, fever, body chemistry imbalances, and brain disease to name a few. When a dog has a seizure, the veterinarian’s task is to identify and treat the cause. A detailed history will be taken to determine whether anything has happened to the dog that might cause seizures or whether it might be suffering from some other disease. The vet will ask about what the dog has done recently, where it has been, what medications it is taking, whether it showed signs of illness other than the seizure. If the dog was not presented in a seizure state, as is often the case, the vet will ask for a detailed description of the seizures—what the dog did before, during and after, how often the seizures occur and how severe they are. Tests will be run to make sure blood counts and body chemistry are normal. If an injury is suspected, x-rays may be taken. An MRI might be done to see whether there is any damage or disease in the brain. If a cause is found, the dog will be treated for that in hopes of relieving or even stopping the seizures. If there is brain damage, the seizures may continue and require ongoing anti-seizure treatment. Such a dog would have secondary epilepsy—epilepsy brought about by an identified cause. Primary (sometimes called idiopathic) epilepsy is easy to misdiagnose. Treatment is available, but not without side effects or the risk that the disease will not respond. 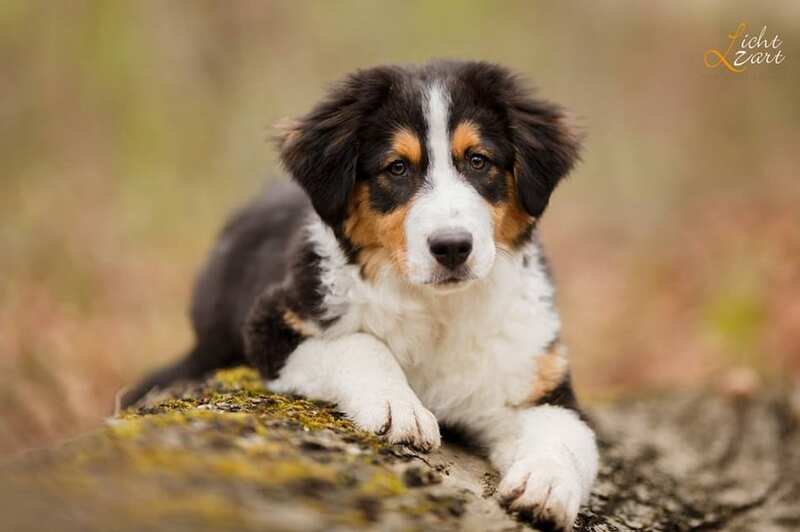 Not only are the genetics of it so far unknown, but most affected dogs will not develop the disease until adulthood making it difficult to breed away from. It scares breeders so much that some insist what happened was not epilepsy or even lie about whether it has occurred in their lines, further complicating efforts to reduce its frequency. Because it is so common, others turn fatalistic – it’s everywhere, so what can one do? Inherited epilepsy is the most common neurological disease in dogs. 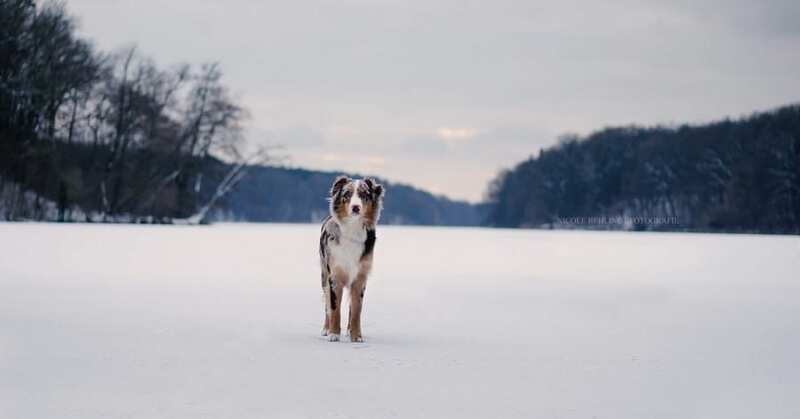 It is seen in both purebred and mix-breed dogs, but some breeds, like the Aussie, have a much higher incidence than is seen in dogs as a whole, due to the restricted gene pool typical of any purebred population. The founders of any given breed will have only a subset of all the versions of genes—good and bad—present in the canine species. Selection over generations for desired traits will limit that gene pool further and not all the genes retained will be for desirable. If, at some point in a breed’s history, a particular sire or line of dogs becomes predominant, inherited problems may start to arise seemingly out of nowhere simply because attempts to concentrate the desirable genes of select individuals can inadvertently bring together whatever undesirable genes are present. Hip dysplasia, a combination of hip joint laxity and joint degeneration, is a multifactorial disease arising from a combination of genetic and environmental factors. The disease is genetically predisposed but environmental factors including level and type of exercise, nutrition, and sexual sterilization have bearing on the development and progression of HD. Having hip dysplasia is a risk factor for also having elbow dysplasia; the more serious the condition the higher the risk. 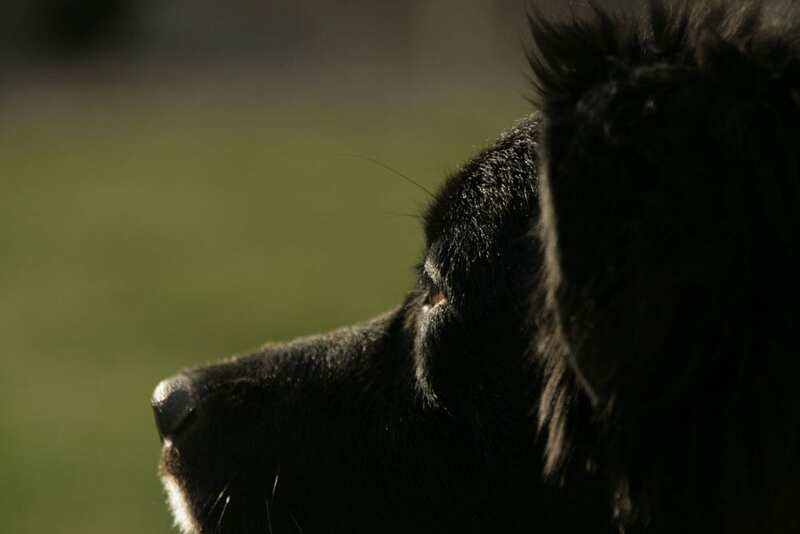 Some HD-affected dogs will show little or no signs of lameness while others will be severely impacted at an early age. Sometimes orthopedic surgery can relieve symptoms, but the procedures are expensive. 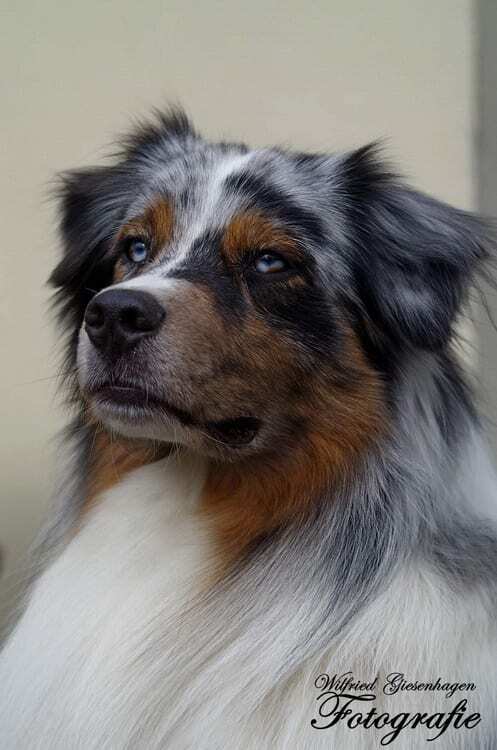 The mutation is so common in Australian Shepherds (roughly half have at least one copy) hatall of them, and even Aussie-mixes should be tested. There is only one exception: If bothparents of a dog have tested clear (no copies of the mutation) they cannot pass on the gene and their offspring will not need to be tested. The test only needs to be done once. Thank you ASHGI for the above information.